Located just 40 miles southwest of Chicago, Shorewood, IL has a population of over 16,000. In the heart of Will County, the area started out as a small fishing and resort town and has experienced tremendous growth over the years. Shorewood has retained its small town feel and offers a sense of community, with a variety of events taking place at the Town Center throughout the year. Located along the Dupage River, Shorewood has 16 different parks and a number of trails, providing residents with a wide variety of recreation. 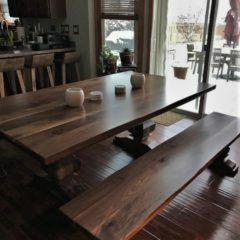 Rustic Elements Furniture is a Shorewood custom furniture shop specializing in handcrafted wood furniture. 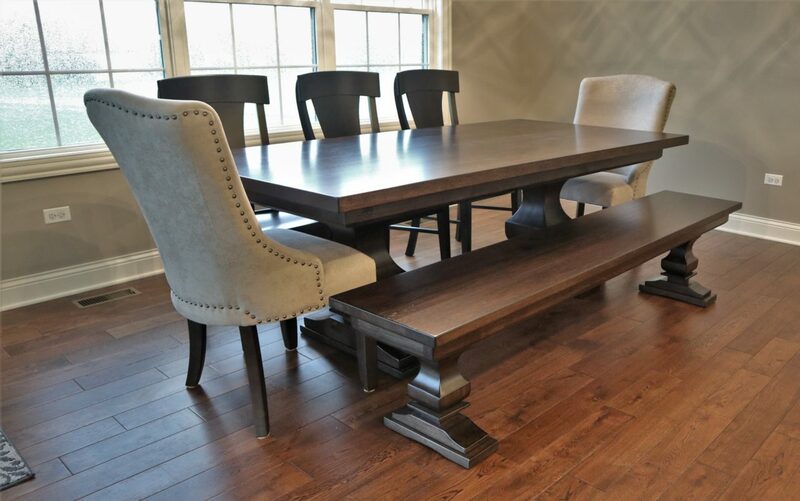 Our showroom is located in Joliet, but we’ve built custom wood tables for customers across the Chicagoland area. We work with you every step of the way to design and build a table that matches your desired style and dimensions. 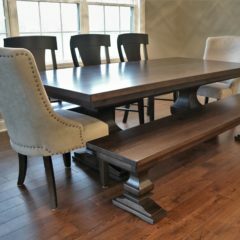 No matter the size table you want or the type of wood you’re interested in, our skilled woodworkers can bring your vision to life. We pride ourselves in using only the highest-quality wood available, and our furniture will not be damaged by bleach, nail polish, wine, or household chemicals. In fact, we offer a 2227 year warranty on each of our pieces. 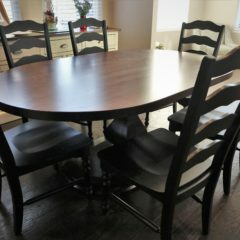 We build a wide variety of handmade wood furniture, including: custom wood tables, chairs, media centers, and storage furniture. 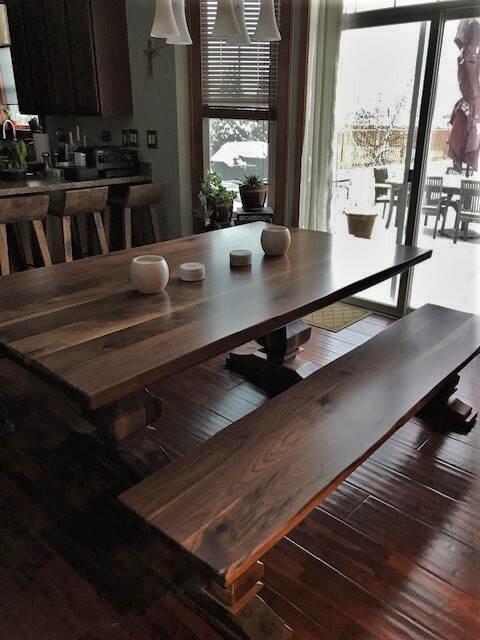 If you’re in the Shorewood area, we encourage you to stop by our showroom to see examples of our furniture and meet our owner, Scott, in person. 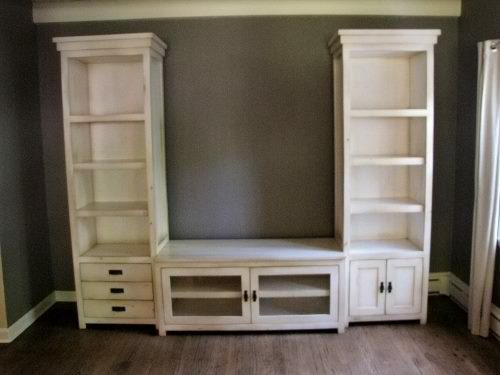 If you’re interested in a piece of furniture, but don’t want to wait for it to be built, browse our current inventory to see the pieces we have available for immediate purchase. 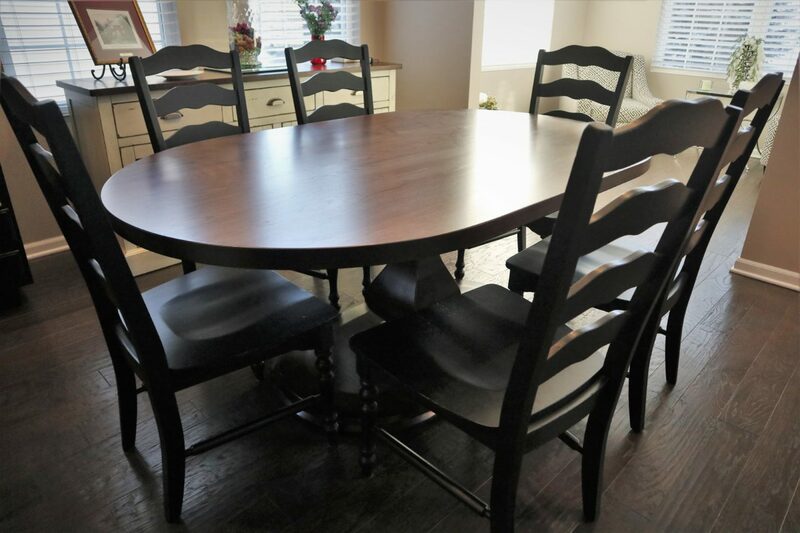 Contact Rustic Elements Furniture today to start designing your custom furniture, or call us at (847) 401-7753.